“Check your tyres before you travel this Easter,” urges UK tyre safety charity, TyreSafe. In addition to regular monthly checks, tyres should be inspected before any long journey or day out. With the extended Easter holiday period beginning early in April for independent schools and running as late as 26 April for some UK counties, Easter is unsurprisingly one of the busiest holiday periods for the UK. This year’s long Easter weekend is Friday 19 April to Monday 22 April and will see families preparing to set off to spend time with relatives and friends. Last year, a survey by the AA* revealed over 80% of its respondents were planning on travelling over the Easter weekend, while TyreSafe supporter Highways England reported** more than 1 billion miles were driven during the holiday period. 2019 is set to be at least as busy and the weather is likely to be typically British – variable from one region to another, making road conditions unpredictable. Carrying out basic yet essential tyre checks can mitigate many of the issues drivers suffer while driving long journeys, preventing delays, additional expense and in some cases injury or loss of life. 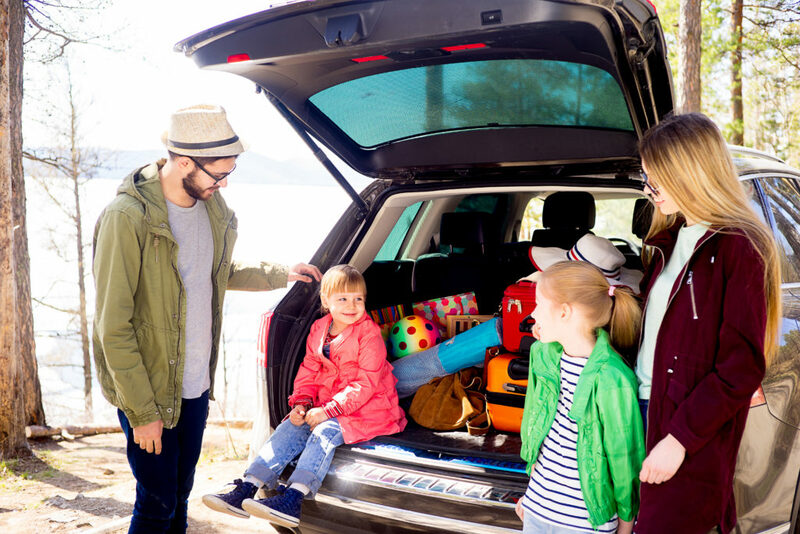 With family and their luggage on board, it’s likely the vehicle’s manufacturer will recommend an increase in tyre pressure to accommodate the extra weight. Tread – if you don’t have access to an accurate tread depth gauge, a 20p coin can be used to see if your tyres’ tread depths are approaching the 1.6mm minimum limit. Insert the 20p at several points across and around each tyre. If you can see the coin’s outer rim at any point the tyre may be illegal and you should seek advice from a professional. Stuart Jackson, TyreSafe chairman, said: “The long Easter weekend is a much welcome break for families to take some time to spend together. Drivers who know they have taken every precaution to ensure their journeys go as smoothly as possible, will be able to relax properly. That’s especially true for those who are making longer journeys than they’re used to in a vehicle which is also likely to be much heavier load than normal.